Search for ebooks and audiobooks which you can read on your computer, tablet or ebook device. Log in with your TIU username and password (not TriNet). 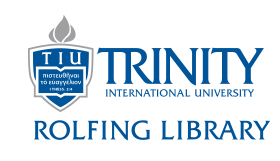 For some books, you will use your Trinity ID number to check out books. Others you can read online.